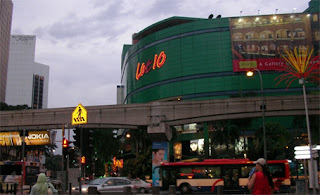 Lot 10 Shopping Mall is a fashionable rendezvous that caters for upmarket shoppers and is linked to Sungei Wang Plaza by a covered pedestrian bridge. This huge shopping mall, with its distinctive green and blue striped facade, has numerous chic restaurants where the city’s hip crowds like to hang out. Its anchor tenant, Isetan, a Japanese-owned Department Store, takes up a portion of the mallâ€™s floors. Here, you can buy all things Japanese from sushi to cushion covers all the way from Japan. Lot 10 Isetan also has a high concentration of boutiques and gift shops, as well as branded apparel, accessories, sports gear and cosmetics. The top floor of the store is devoted to exclusive designer clothes. We would like to have shop space in LOT 10 SHOPPING MALL,please let us know if any shops are available.